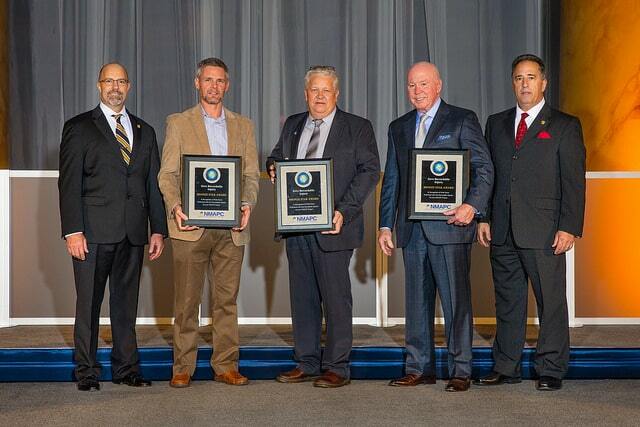 As the recent recipient of several awards, Gribbins Insulation reinforces its longstanding reputation for exceeding industry safety standards. At a November 2, 2017 gathering in Washington, D.C., the National Maintenance Agreements Policy Committee, Inc. (NMAPC) presented Gribbins with several Zero Injury Safety Awards® (ZISA). Each ZISA recognizes an alliance between owner-clients, signatory contractors as well as local and international unions who have worked together in a tripartite manner to achieve zero injuries on their industrial construction and maintenance projects. The three ZISA awards Gribbins received are: the Bronze Star Award for the company’s work at Marathon Petroleum Corporation’s Robinson Refinery in Robinson, Illinois; a Certificate of Merit for projects at Duke Energy Corporation’s Cayuga Generating Station in Cayuga, Indiana; and a Certificate of Merit for endeavors at Alcoa’s Warrick Generating Station in Newburgh, Indiana. The Bronze Star represents from 200,000 up to 499,999 hours worked with zero recordable injuries, while the Certificate of Merit reflects 50,000 up to 199,999 hours worked with zero recordable injuries. Brian Willett of Gribbins Insulation was present to accept the awards. Founded in 1985, Gribbins Insulation is a commercial and industrial mechanical insulation contractor serving the Midwestern United States. Headquartered in Evansville, Indiana, the company has five branch offices in Indiana, Illinois, and Kentucky.